**Spoiler Alert: Considering five years having passed since Mockingjay was published, this is your warning that if you have not read the actual book, you might not want to read the following review. Spoilers are included. It was the ending we’d all been waiting for — the final defeat of the Capitol, of President Snow, of all that was wrong with the country of Panem. And Katniss was the one to accomplish it all, a true heroine assisted by her fellow rebels. The movie Mockingjay Part 2 picks up where the first one ended, with Katniss recovering from an attack by Peeta, after he left the Capitol. As Katniss emotionally tries to come to grips with the new Peeta, who isn’t really Peeta anymore at all, she also works to further the rebellion and take down the Capitol. But Coin, in charge of the rebellion, forces Katniss to remain the face of the rebellion and not one of its foremost warriors. Ultimately Katniss becomes one anyway, working with her team including Gale, Peeta, Bogs, Cressida, Finnick and others to break in to District 2 and the Capitol, so Katniss to fulfill her goal of killing President Snow herself. All that is accomplished and then some, when Katniss ultimately kills Coin as well, realizing after the death of her sister that Coin’s thirst for power was just as, if not more, dangerous and deadly than Snow’s. The movie does a great job of closely following the book. There are the regular film changes with which fans have become familiar — including new, additional scenes with Snow and his advisors or with Coin and Plutarch, broadening the story and filling in the novel’s gaps that inevitably come from Katniss’s first-person perspective formatting. The biggest changes come at the movie’s end. In the novel, Katniss is misunderstood when she kills Coin. Because no one but President Snow really knew Coin’s evil, no one understands why Katniss commits such a heinous crime as murder. She is put on trial and acquitted by reason of insanity. She goes on to seemingly live a life of freedom yet sadness, married to Peeta, without any more of a relationship to Haymitch. In the movie, however, there is no trial. There is a relationship with Haymitch. Katniss is commended by Plutarch. She is understood, and so are her actions, by the people of Panem. She is not deemed insane; she is a deemed a hero. She and Peeta are portrayed as truly in love and truly happy. The movie’s end is the storybook ending that the storybook never gave us. Of course, it’s different, and it might anger die-hard fans of the books. But after all Katniss has been through — and all we’ve been through three books and four movies later — it’s satisfying to have an ending that’s full and not one that leaves us, well, hungry. Buy Mockingjay in paperback for $7.39. Or on your Kindle for $4.99. Mockingjay picks up shortly after where Catching Fire left off. We see Katniss shaking, crying, having a nightmare as she so often does now in her post-Hunger Games world. She’s suffering from PTSD as she tries to make sense of what happened in the Quarter Quell and as she wonders if Peeta is even alive. She has so many questions, but without receiving answers, she is quickly thrust once again into the spotlight as Plutarch Heavensbee and President Coin, the president of District 13, choose her as the symbol of the rebellion, the Mockingjay. With most of the districts in disarray or completely destroyed after the rebellious move Katniss makes in the Quarter Quell, President Coin and Plutarch work hard to take the lead in the rebellion and join forces with the other districts to take down the Capitol. That means having Katniss star in several propaganda videos to air across Panem. The videos come in response to the Capitol’s propaganda videos, starring a brainwashed, angry Peeta, who has lost the support of the rebels. Katniss agrees to help under certain conditions — that Peeta and the other tributes will be saved and pardoned once they are freed from the Capitol. Despite her concerns, President Coin agrees, and Katniss and a video crew shoot several videos that air across the country. eventually leading to the rebels gaining enough control that they’re able to free Peeta from the Capitol. But when Peeta returns, he is not the same. He is brainwashed and enraged by Katniss, causing him to try to kill her. The book and movie are mostly the same, but there are a few slight changes. For instance, in the book, Katniss agrees to be the face of the rebellion only if Peeta and the other tributes are freed and pardoned, and if she can be the person to kill President Snow. But in the movie, the demand to kill President Snow is cut. It’s not a huge change. But in the book, President Coin responds by saying “I’ll flip you for it.” The demand and the accompanying dialogue serve to display the extent of Katniss’s anger toward Snow and that she and Coin have now connected. Other changes include minor ones about District 13 — the details of the district’s daily schedules have been cut. So has the insight into District 13’s treatment of Katniss’s prep team. Again, not a huge loss, but it certainly eliminates some of the most important foreshadowing about District 13 and the people who are in charge. Whereas Mockingjay, the novel, has an ending, Mockingjay Part 1 does not. Yes, that’s obvious, but the movie ending with the freeing of Peeta only serves as further build to the next movie — and because of that, the movie doesn’t have its own plot. It’s more of a series of scenes and happenstances with not much more than build and foreshadowing. The movie isn’t bad. In fact, it’s pretty dead-on and fantastic. But when your movie tells the story of half a book, it’s going to feel like half a movie. **Spoiler Alert: If you have only read my Hunger Games or Catching Fire reviews, and not the actual books, you might not want to read the following review. Spoilers are included. “Tick, tock.” Time is precious to Katniss Everdeen. At the start of the movie version of the bestselling book Catching Fire, we find her doing what she loves — hunting in the woods with her only true friend, Gale. But after The Hunger Games, she’s a totally different person. She is faking her love for Peeta Mellark, the male co-victor of the Hunger Games. She is hurting, but everyone in the post-apocalyptic country of Panem is too. Districts are still angry about what Katniss and Peeta’s rebellious move in the last games, and the Capitol knows it. President Snow decides he isn’t going to let the system crash because Katniss and Peeta almost ate a few poisonous berries, in an attempt at suicide that would defy the Capitol. With President Snow watching very closely, Katniss must quickly convince the country that she is unconditionally in love with Peeta and her stunt was not an act of rebellion. If she fails, she could get herself and her loved ones killed. During their first stop on The Victory Tour, an incident happens that scares them to the bone. They need to come up with new ideas to make the public believe in their love. Peeta truly loves Katniss and just wishes for her to feel the same but she has other plans. Gale is everything to her and she doesn’t have room to love anyone at the moment. The 75th Hunger Games approaches and there’s a wrinkle in the system. As part of the Quarter Quell, Katniss and Peeta must return to the arena to fight other previous victors. Sick and angry, they rush back to the Capitol to meet their opponents, who are experienced killers. Two tributes stick out: Johanna Mason (Jena Malone) and Finnick Odior (Sam Claflin). Johanna is a feisty beast and Sam, the Capitol sweetheart. Already at the edge of your seat? Well, let me hit you with this. The Hunger Games: Catching Fire was better than the book. Director Francis Lawrence turned this second installment into a beautiful, soaring monster — something that words on a page can’t do justice. It followed the book very closely, only leaving out a few chapters and scenes. The budget was doubled for graphics but the acting and writing is what stood out the most. Jennifer Lawrence turned into Katniss 2.0. Josh Hutcherson gave Peeta a strong, handsome vibe, which adds to the Peeta-Katniss storyline that is also catching fire. The elimination of the debated ‘shaky cam’ also opened us to a new look at Panem. The PG-13 rating was pushed by language, but the blood shown was toned down. If you read the books, you will not be disappointed. If you didn’t read the books, you’ll still have the time of your life. Hold on tight, because the last 10 minutes are the best. In the end, you’ll want more but you’ll have to wait a year for Mocking Jay Part 1. So…KEEP CALM AND WAIT ON. It appears that Twilight and The Hunger Games are trendsetters, paving the way for more young adult novels to be made into feature films. 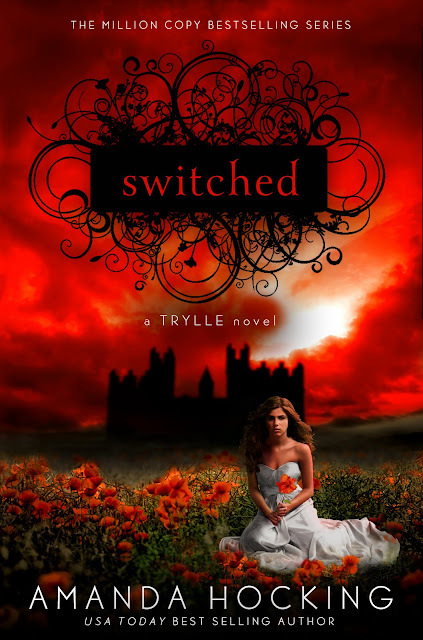 According tothe L.A. Times,a number of other young adult novels are being optioned for films, including hits like Trylle Trilogy and The False Prince. Here’s a look at some of the other novels producers are considering. Considering I haven’t heard of any of these novels, I doubt they’ll have the success and impact on the big screen that Twilight and The Hunger Games have had. It will also be interesting to see how many of these books actually make it that far — since right now, they’re only being optioned. It’s always fun to see your favorite book translated to film, but are the movie-book-adaptations starting to become a little overkill? What do you guys think? Sorry, Potter fans. Hunger Games fans are better than you …in terms of Amazon sales anyway. According to Deadline, The Hunger Games trilogy is now Amazon’s top-selling book series of all time, outselling Harry Potter. Sales numbers include both physical books and e-books. Exact sale numbers are not being released, according to The New York Times. Despite The Hunger Games’ obvious popularity with young adults, it’s still surprising, considering there are seven Harry Potter books that were released over 10+ years, compared to only three books in The Hunger Games trilogy, released over four years. Another close call on the list? No surprise here: E.L. James’ Fifty Shades of Grey trilogy, which is still number one on The New York Times bestseller lists for print, e-book, and paperback trade fiction. Is Suzanne Collins’ Writing Style the Future? 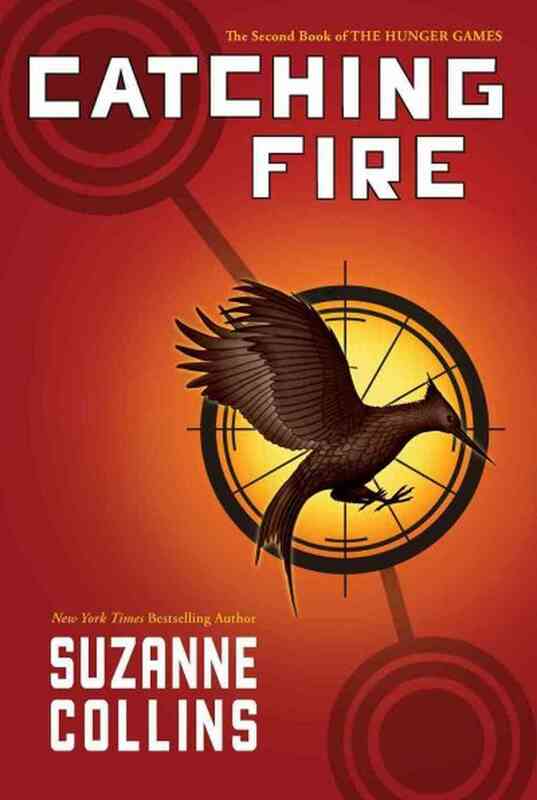 Suzanne Collins has captivated readers all over the world with The Hunger Games trilogy. But was it the content of the books or her writing style that made the books so monumental? According to this Huffington Post blog post, blogger Jeff Goins suggested that Collins’ writing style is the successful writing style of the future: short and concise, but also edgy. But blogger Lev Raphael argues that if this style is the future of writing, it will only bring on a rush of bestseller copycats. What he’s arguing for, whether he knows it or not, is myriad knock-offs of The Hunger Games, books written to what might seem like a formula, or has been turned into one. The result would be a raft of terrible books, as well as disappointed authors who think, “My books is just as good as The Hunger Games, why can’t I sell it?” or “Why isn’t anyone buying my book?” Hell, that’s probably going to happen anyway, without his encouragement. I agree with Raphael to some extent; of course, bestseller copycats would be produced. And of course, they won’t all be as good as the original bestsellers. However, as a person who reads both modern and classic books, I agree that the books of yesteryear are much more difficult to read. The modern ones — like The Hunger Games — are made for those with shorter attention spans who have less time to analyze, and I think it’s safe to say that is almost everyone these days. There’s something to be said for a concise writing style, even though it may not be so eloquent. What do you think? Is Collins’ style the future? Or will writing with flowery language continue to thrive? Two guards walk Seneca Crane to an ornately decorated Capitol room. In the center of the room is a decadent, goblet-like bowl. The guards close the door as they leave and Seneca begins to realize his fate. He walks towards the bowl and the camera reveals it to be filled with Nightlock. The rest is implied. Of all the beautifully handled scenes in The Hunger Games film, this had to be one of the best. It’s one that does so much with so little, at once moving plot forward while informing us on the irony-loving cruelty of President Snow and the Capitol. All that and it’s not even in the book. Katniss, who serves as the first person narrator on paper, tells the reader that Snow surely executed the incompetent Gamemaker, but showing exactly how is something she’d never be able to do. And therein lies the problem that Gary Ross and company have set themselves up for in Catching Fire. So much of Suzanne Collins’ twisty second book relies on what Katniss doesn’t know. [BOOK 2/3 SPOILERS AHEAD] Readers who have finished the series are aware that by the time the first book ends a rebellion is in motion. Much of its inner-workings happen then outside of Katniss’ grasp before and during the second book. She gets hints of it from Plutarch and scenes on television, but never really puts it all together. Katniss goes into the Quarter Quell with a limited set of information and is largely surprised at the end by a dynamic rebellion-led rescue. The reader is therefore also somewhat surprised and even confused along with her. Ross and Collins made a very bold choice to fill in the viewer beyond Katniss’s knowledge in the movie version of The Hunger Games. The riot in District 11, private conversations between Snow and Crane, the Gamemaker’s control room, all enhanced the story immensely and made it a better film. There’s no reason this enhancement shouldn’t continue through the series, after all there’s only so much Katniss can tell us. Unfortunately, Catching Fire relies heavily on what Katniss doesn’t know. Is the ending going to be as effective if we already know there’s a revolution brewing and some of our main characters are in on it? What results is a conundrum of sorts. Frequent Danny Boyle collaborator Simon Beaufoy is penning the adaptation of Collins’ second book and he has a choice. He can either stick with the precedent Ross has set and expand the point of view, or he can buck the trend and bring it back to the first person. Limiting the perspective may end up feeling inconsistent in the overall scheme of things; it could also jeopardize the extra awesomeness the creators can bring that Collins didn’t put in her book. Fans who cried foul at the significant changes made by Ross and company in the first film may lean towards the latter but it could confuse and upset the greater audience. Thankfully, Beaufoy is a proven talent and will likely figure it out. He had this to say about adapting the book recently, “With this one I had to be a lot more faithful, also because there’s a fan base who are more than usually keen that you get it absolutely right. ‘The Hunger Games’ fan base are passionate beyond anything I’ve ever come across and I’d fear for my life if I get that adaptation . If I do too free an adaptation than I shall get firebombed. So I’m being really careful about that.” (Crave Online) Sounds good for die-hard fans, just glad that I’m not the one having to adapt the sequel to The Hunger Games.